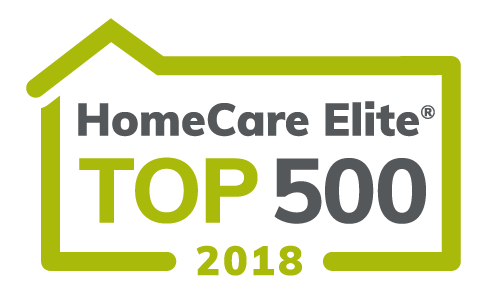 Ohioans Home Healthcare understands that patients, families and physicians have many choices in selecting home healthcare and rehabilitation services. We take great pride in the confidence and trust shown to us to provide the best services to our patients. Medication Teaching: We will monitor medication compliance, set-up, IV therapy, injections, and provide the education necessary for administering injections. Nutrition Counseling: Our team ensures compliance with special diets, weight monitoring, and the utilization of intravenous nutrition such as TPN and tube feeding. Respiratory Assessment: Includes instruction on the use of inhalers, aerosol machines, oxygen, and the proper care of all equipment. 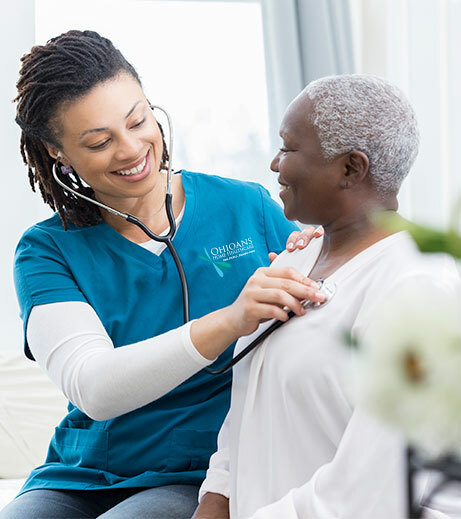 Cardiac Care: Our team provides postoperative care, offering continual monitoring of chest pain, blood pressure, edema, and education on signs and symptoms of further cardiac problems. Wound Care: We conduct dressing changes, wound vac therapy, assess wound healing and identify signs of infection. We will also provide dressing supplies and order wound vacs when necessary. 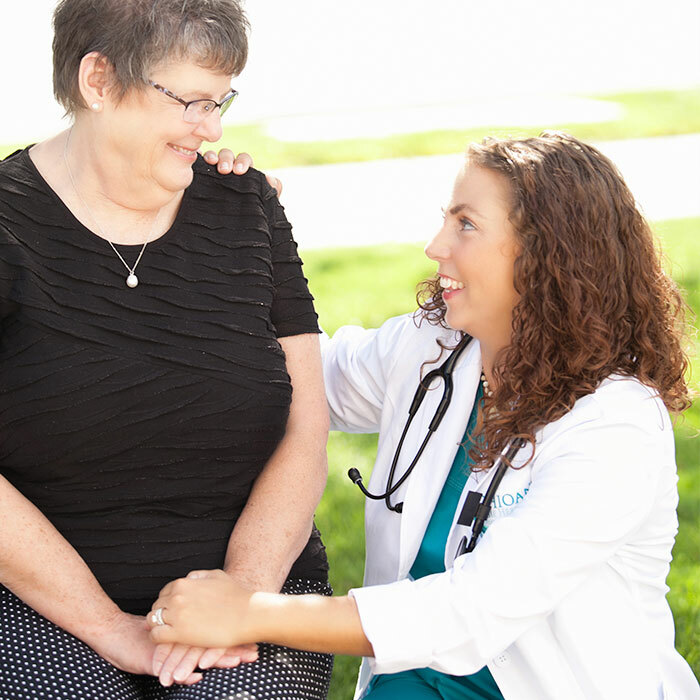 Disease Education: The team will inform patients about the disease processes of chronic obstructive pulmonary disease (COPD), congestive heart failure, diabetes, renal failure, multiple sclerosis, osteoporosis and more. These therapists also assess patients who may require special equipment such as wheelchairs, scooters, grab bars, and elevated toilets. Physical therapists also assess patients who may benefit from special equipment such as canes, walkers, and wheelchairs. Ohioans Home Healthcare provides a family-centered approach to our care of children and families in their home and the community. Being able to provide care for children in the home promotes family bonding while supporting growth and development. 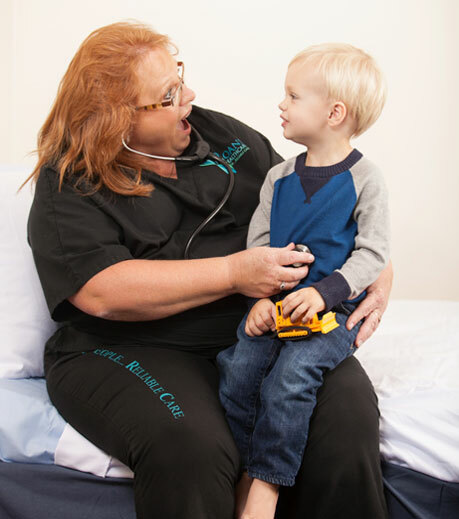 Our team of experienced pediatric clinicians has the training to care for infants and children with a variety of diagnoses and special needs. It’s of the utmost importance to us that you feel comfortable and confident in the attention and treatment your child is receiving. The range of services we provide in the home includes wound care, oxygen and chronic pain management, complex medical and surgical care, intravenous administration of antimicrobial medications, as well as other services including chemotherapy, parenteral nutrition, nasogastric or enterostomy feedings.